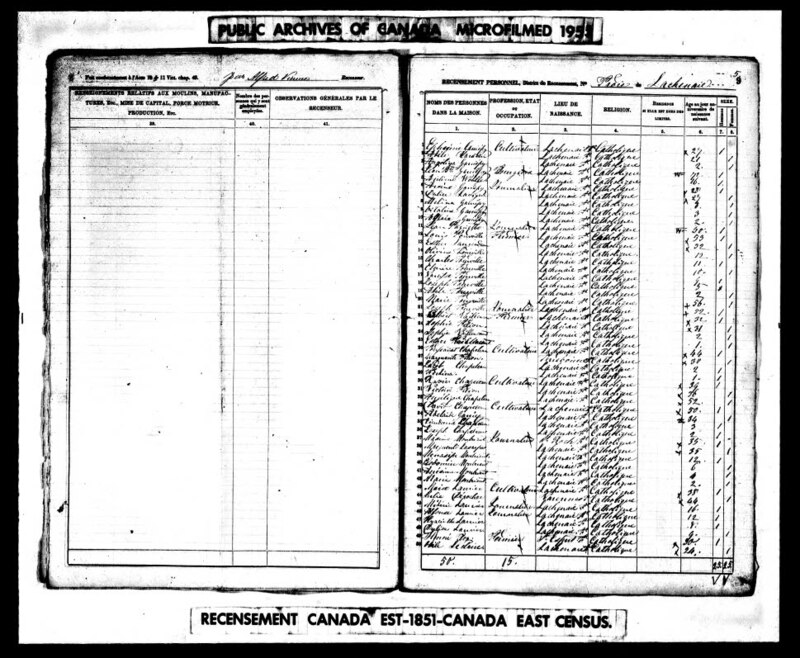 [S112] 1851 Census of Canada East, Canada West, New Brunswick, and Nova Scotia, Ancestry.com, (Online publication - Provo, UT, USA: MyFamily.com, Inc., 2006.Original data - Library and Archives Canada. Census of 1851 (Canada East, Canada West, New Brunswick, and Nova Scotia). Ottawa, Canada: Library and Archives Canada.Original data: Library and Arc), http://trees.ancestry.com/rd?f=sse&db=1851canada&h=260348&ti=0&indiv=try, http://search.ancestry.com/cgi-bin/sse.dll?db=1851canada&h=260348&ti=0&indiv=try, Name: Caroline TourvilleBirth Date: abt 1818Birth Place: LachenaieResidence Date: 1852Residence Place: Leinster County, Canada East (Quebec), Canada.